In 2009, five multidisciplinary teams of landscape architects, architects, ecologists, artists, and other specialists were selected by the Museum of Modern Art to participate in its Rising Currents exhibit which debuted in 2010. The proposals of the Matthew Baird Architects team relied on the waste-stream and existing infrastructure to mitigate flooding associated with sea level rise and storm surge. One proposal was to use the approximately 93,000 tones of water glass to create artificial reefs. A second proposal was to use dredge material from the Ambrose Channel to create berms at the shoreline. 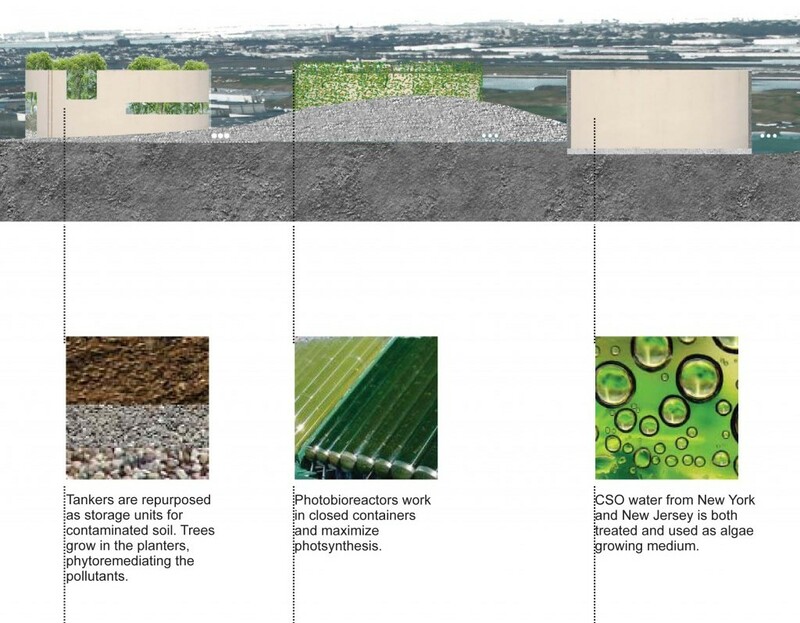 And the third proposal was to generate renewable energy onsite using repurposed oil tankers and combined sewer overflows in an algal biodiesel system.